A leaked Staples memo, of questionable origin, points to a release date as early as April 26 for the Samsung Galaxy S4 on AT&T, with T-Mobile and Verizon trailing behind. The document, received by Phone Arena, includes “tentative” release dates for the big carriers in the U.S. ahead of an official announcement. Assuming the document is accurate, AT&T customers will get the Galaxy S4 first on April 26, with T-Mobile joining the party on May 1 and Verizon catching up over a month later on May 30. 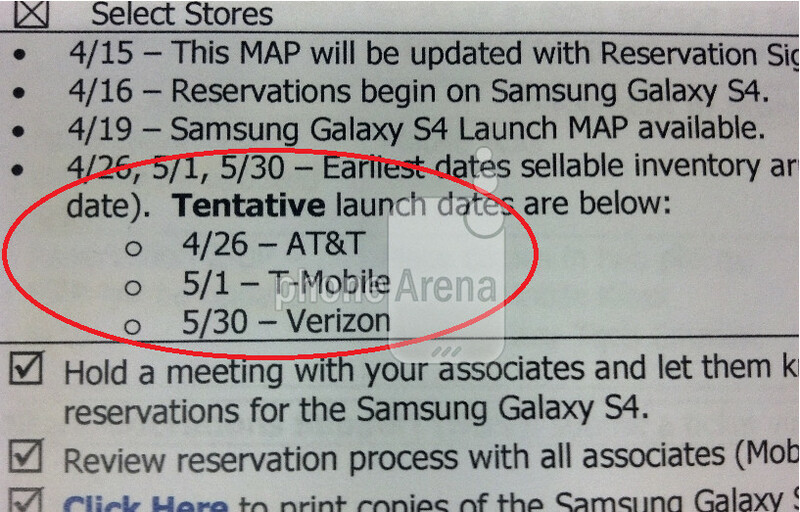 The April 26 date matches the UK launch date and T-Mobile’s own announcement at its Uncarrier Event pegged the S4 for a May 1 release, both coincidences that bode well for the document’s authenticity. The memo also teases that Staples could start pre-orders on April 16. There is some evidence to back this date up. Walmart is also reportedly accepting pre-orders on April 16. AT&T and U.S. Cellular have already officially confirmed they will open up pre-orders that day as well. Verizon has yet to make the Galaxy S4 official so it’s hard to say whether the May 30 date is correct, but a late launch date certainly fits Verizon’s reputation. It’s also worth nothing that the memo calls for new GS4 signage to be installed on April 15, which is a day before the official pre-orders are set to kick off. A different shot of the same document has appeared on Engadget as well, further validating its authenticity. Keep in mind, rumors are rumors and take it with a grain of salt and all that, but with so many sources pointing to similar dates, it is pretty hard not to look at this latest leak as authentic. At this point in the game, any information is good information, especially if you’re waiting in anticipation to upgrade from an older device. 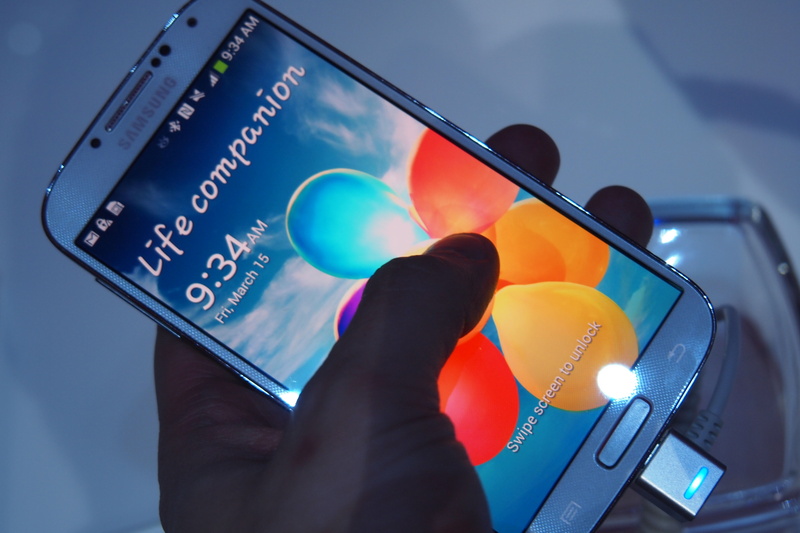 The Galaxy S4 has whipped up a lot of excitement, even if its launch was, well, odd, and we’ll be sure to update you as release dates become official.